AzBaja.com, Home of the VW Baja Bug -:- Baja Forums -:- VW Volkswagen Bug, Baja, Bus, Sandrail and Thing -:- VW Volkswagen & Baja Bug General Discussion -:- Sound systems anyone? Baja Forums -:- VW Volkswagen Bug, Baja, Bus, Sandrail and Thing -:- VW Volkswagen & Baja Bug General Discussion -:- Sound systems anyone? Post subject: Sound systems anyone? Anybody running sound systems in there cars?? I just hooked up 2 1100 watt subs, 2 250 watt 6x9 speakers, 2 150 watt 5x5 speakers, and a 800 watt amp. Now i havnt tested it so what do i need to expect when i test it? I just pulled it out of a beater im getting rid of. Post subject: Re: Sound systems anyone? Sure do. Its rhinolined allover and carpeted on the bottom now. The amp hides below. i have 4 wlamart special's in there with a pioneer head unit, and it sound pretty good. I'm running a pioneer deck, kenwood 5.5's in the doors, sony 6.5's in the back deck and a 10" jl adio sub in the cargo area. Two amps under the seat. Sounds pretty good, it'll make the mirrors rattle.....but I'm more into the quality of the sound than the thump so I have the sub amp turned down pretty low. I turn mine down at stoplights so others don't have to listen to it. i just got mine hooked back up, so now i can drown out all the road noise. man i need to get some seals for my doors. alright, man i was freaked, i was thinking that i would blow up my car. lol. yeah my cd player is a dual, it has a remote, which always confuses me. anyone know what the real reason is? Here's my 'sound system', hanging on the back end. Oh- I do have a CB radio I'm planning on installing as well- does that count? For some reason, the one thing I DON'T want in my baja is a stereo. Go figure. The only sound system my car will have is a CB. I like listing to the motor. well it's a Vert Baja the only thing I can Hear is the motor. I have a cheapy WallyWorld Panasonic cd player and two cheapy 6x9"'s in boxes in the back of the car, and it sounds plenty good to me. It doesn't take much to be loud in a little VW! 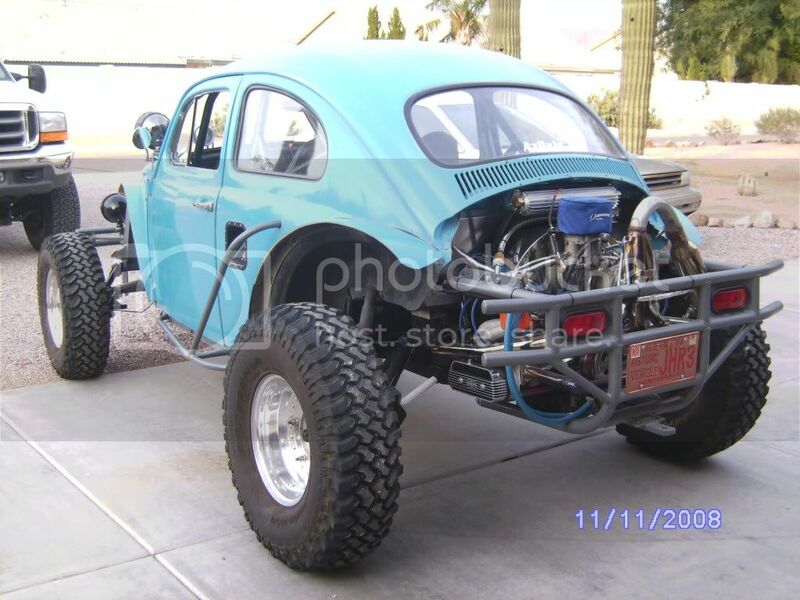 VW Volkswagen & Baja Bug General Discussion Difference between exhaust systems? VW Volkswagen & Baja Bug General Discussion Sound Deadener!? 3 bajaboi727 2516 Re: Sound Deadener!? Projects and Builds SWEET SOUND! 4 olias-racing 2592 Re: SWEET SOUND!